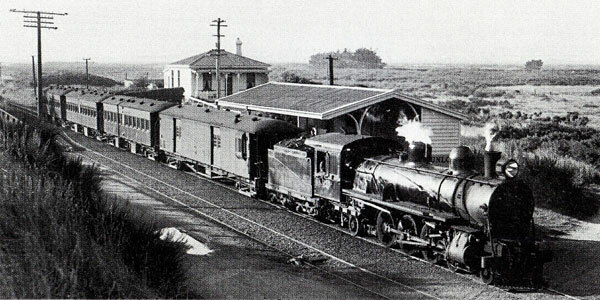 There were three railway stations at Awarua. 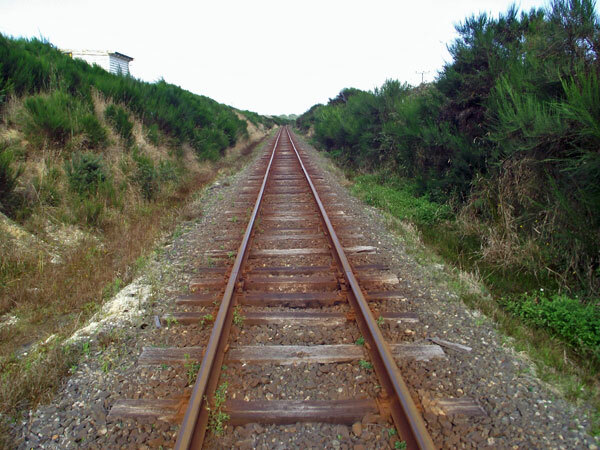 The first, known as “Awarua Junction,” was west of Awarua Radio ZLB towards Greenhills, somewhere near the Awarua Siding Road off SH1 (the Invercargill-Bluff highway). The second, known as “Awarua,” was roughly halfway between Awarua Junction and Awarua ZLB. There was no building, platform or shelter of any sort – just a name on a map. The third was “Awarua North” and it was directly opposite the entrance of, and provided for the use of, Awarua Radio ZLB. The “station” opened on 23 June 1929, and was nothing more then a shelter; there was no platform. 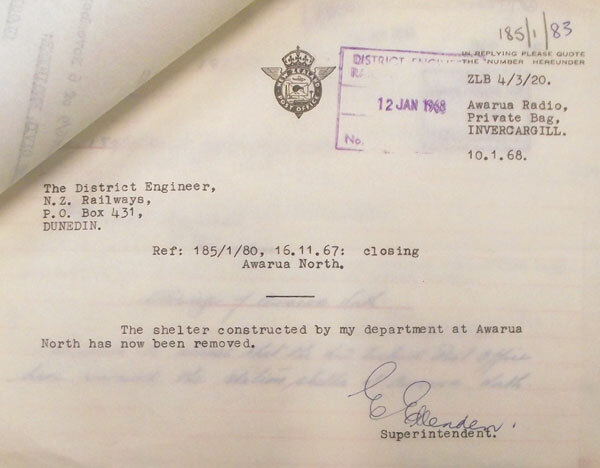 In fact, the shelter was owned by the NZ Post Office or, in earlier days, the Post and Telegraph Department. I do not know much of the origins of this shelter but from my childhood memories, it might have been erected by the P&T around 1940 on account of the large increase in ZLB staff due to WW2. I recall this building had a large number of names either carved into, written or otherwise etched all over the walls, and in this regard many dates from the 1940s spring to mind. 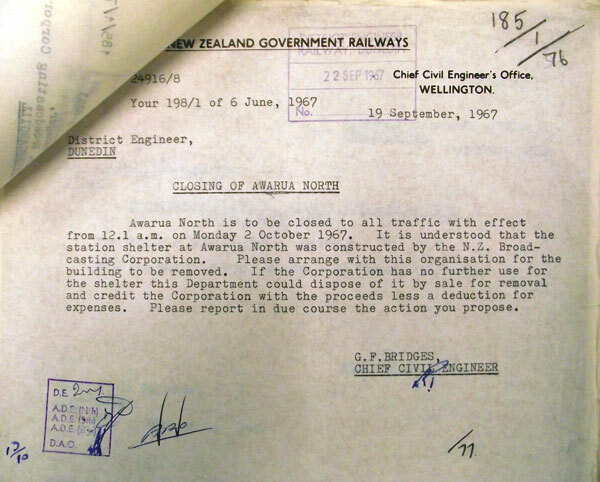 Awarua North closed on 1 Oct 1967 and the shelter was removed by the Post Office in 1968. Awarua Radio historian Alex Glennie grew up at Awarua Radio and is the author of A Scrapbook of History: Awarua Radio ZLB.